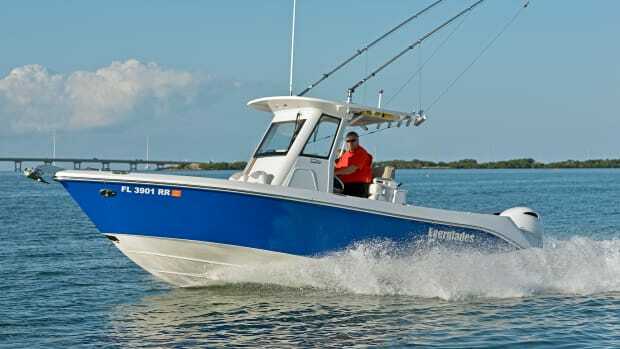 From the graceful sheer to the radiused transom, the look is unmistakably Regulator. 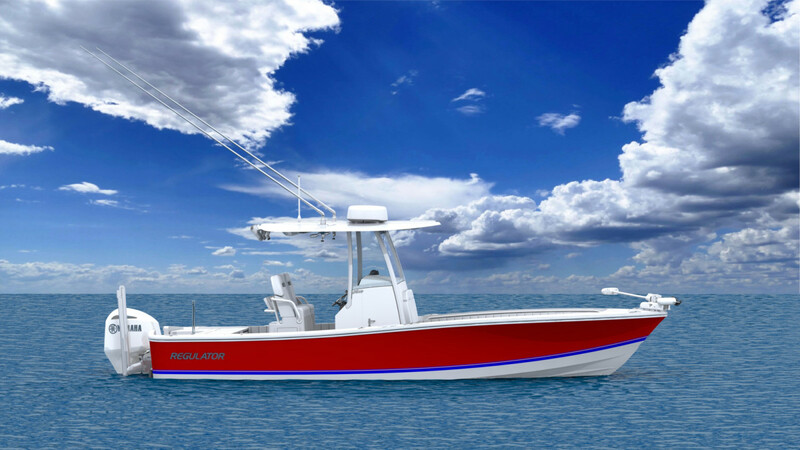 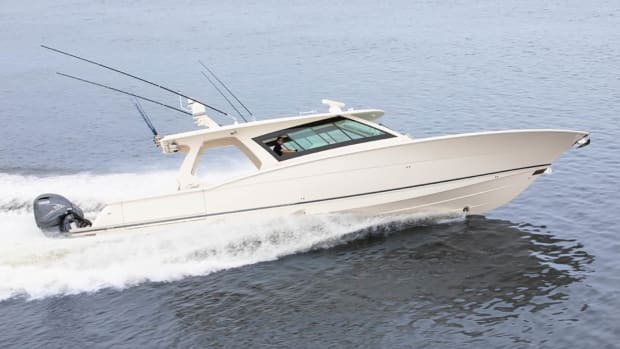 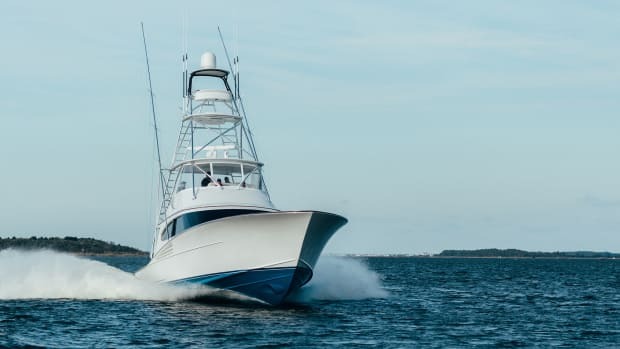 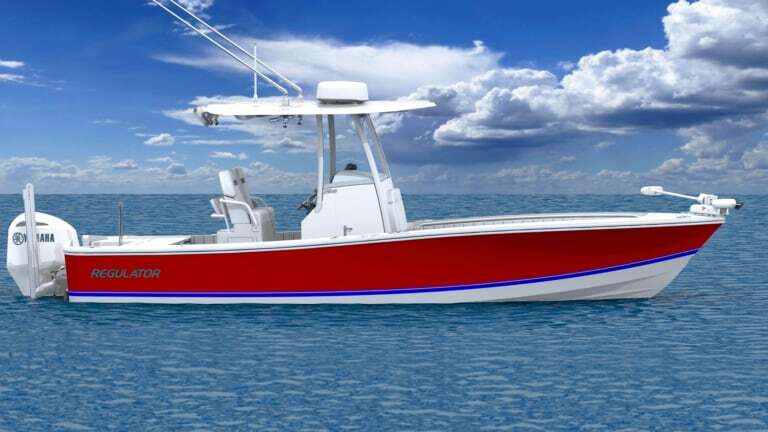 But this isn’t just a new model; it’s a new direction for the North Carolina builder of fine center console fishing machines. 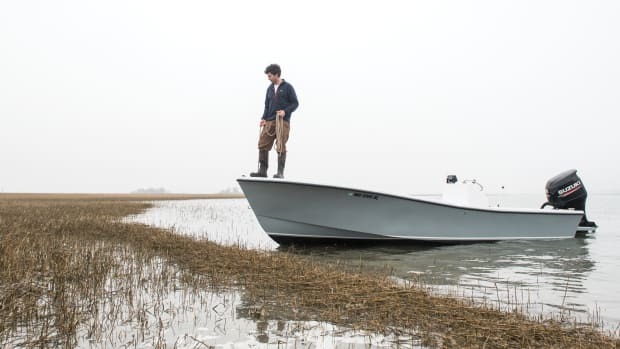 The boat is the 26XO, the numbers representing LOA, the letters announcing it’s a crossover — a superb shallow-water platform with the flexibility to head out to the inlet to chase bigger game. 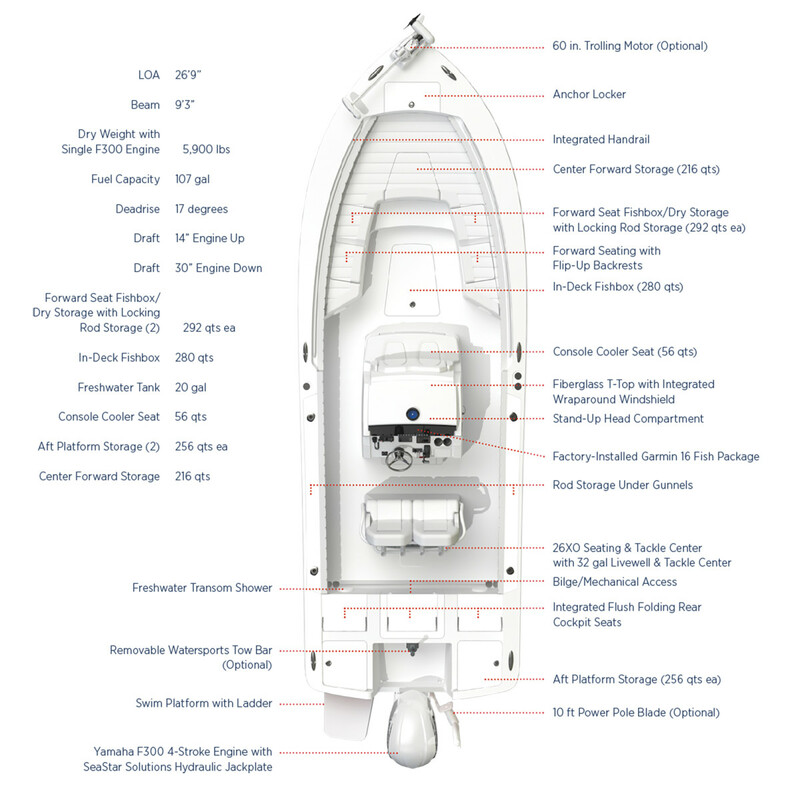 But it’s even more than that. 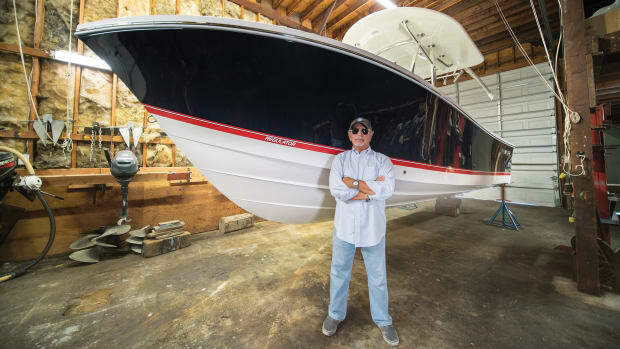 The hull was designed by noted naval architect Lou Codega, the same wizard who developed the hulls for all of Regulator’s boats. 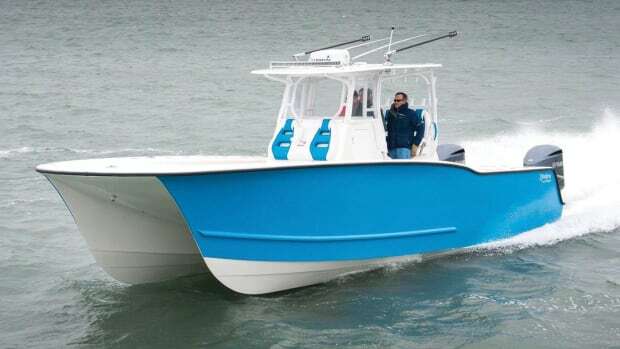 It features a 9-foot, 3-inch beam and a 17-degree deadrise (at the transom) for shallow water capabilities and a soft, stable ride in a sea. 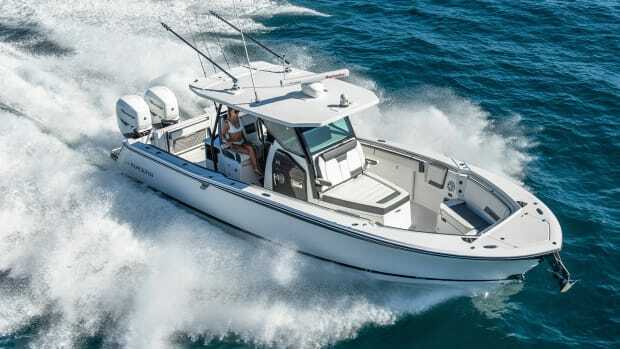 It comes loaded with standard features like the Yamaha F300 mounted on a SeaStar hydraulic jack plate, seating for seven, bow and stern casting platforms, tackle center, livewell, Garmin 16 fishing electronics package and a fiberglass T-Top with an integrated wraparound windshield. 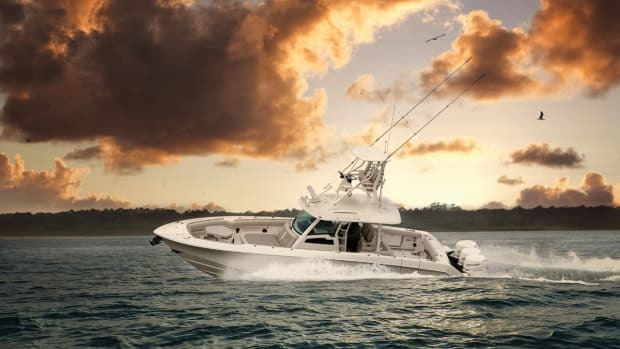 You can order it with factory installed options including a Power Pole shallow-water anchoring system, removable watersports tow bar for tubing, skiing and wake boarding, and a Minn Kota iPilot GPS electric trolling motor. 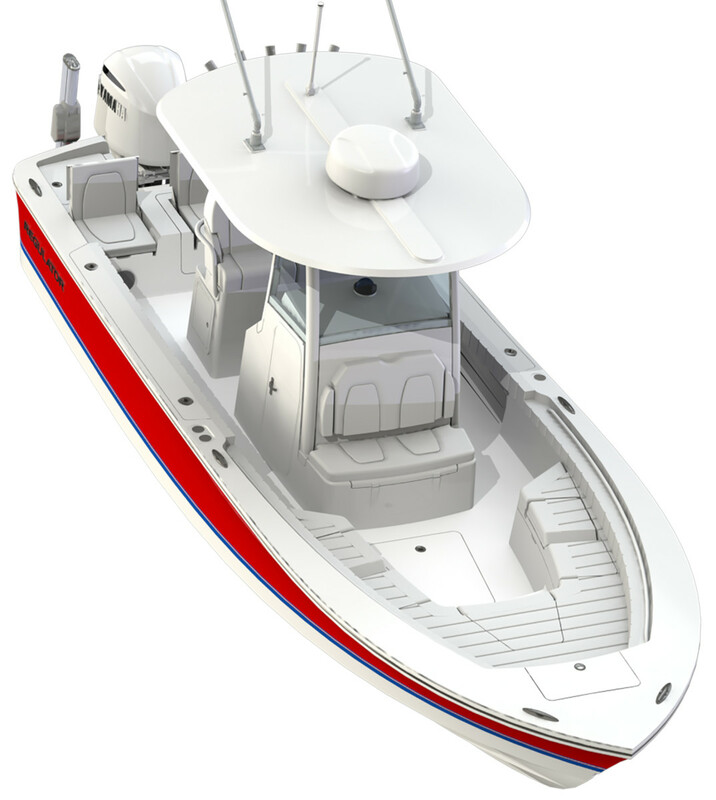 “The XO is a family fun boat incorporated into the most versatile fishing platform we’ve built,” Maxwell concluded. 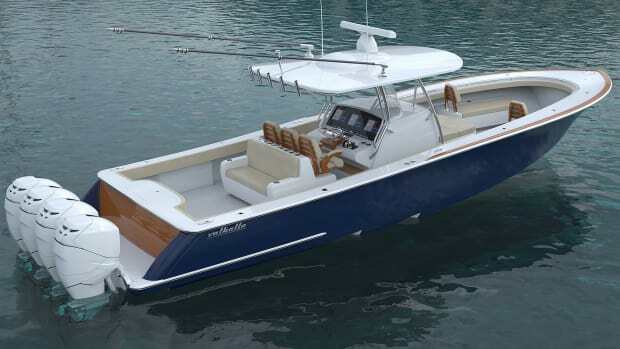 It will be unveiled at the Miami International Boat Show on February 14 at 9:45 am in the Regulator booth on Pier 4, and it will be available for viewing, test rides and show orders throughout the show.